The Village B & B is a Georgian Town house built as a Gentleman’s residence circa 1780. 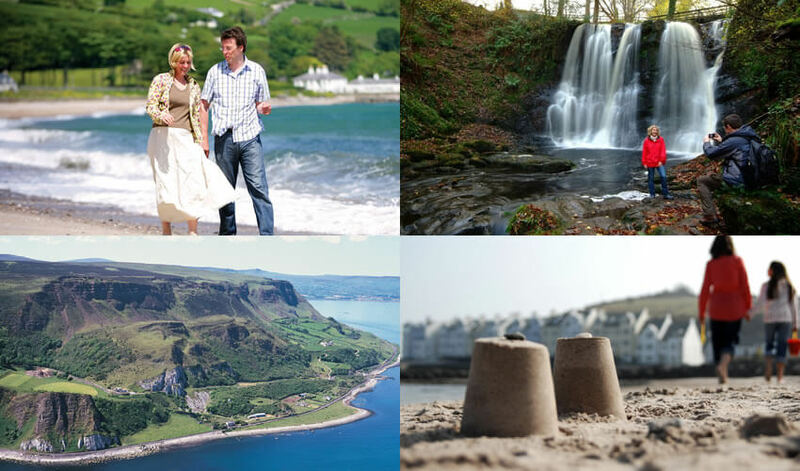 It is located in the centre of the village of Cushendall in the heart of the Glens of Antrim. Most of the buildings are listed and this has given the village much character and history. It is an ideal base for your visit to the Glens and the Causeway coast. Nearby attractions include the Giants Causeway, Bushmills Distillery and the famous Carrick-a-Rede rope bridge. We are located on the Antrim Coast Road, one of the most scenic drives in Europe. Within 50 metres of our front door, there is a choice of restaurants and the famous” McCollam’s Bar” renowned throughout Ireland for traditional music. Book on line, by email or by phone 02821 772 366 / 07928 648 215. We have a secure yard for your bike and equipment. 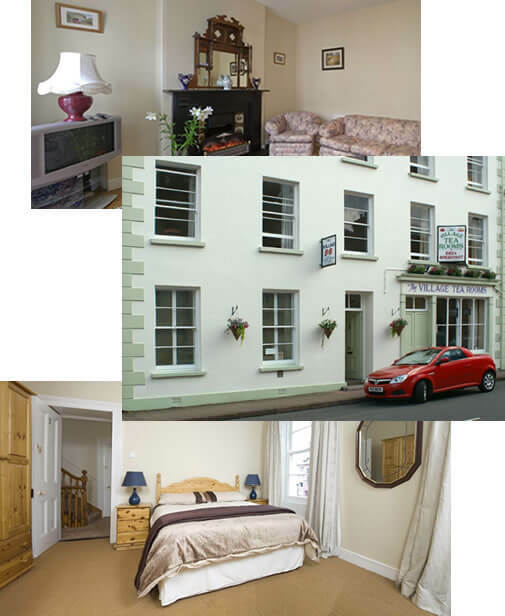 “No matter whether you are traveling alone, as a couple of friends, The Village B&B will be one of the nicest stays your can get in Northern Ireland. Whether it is the location on your road trip from Belfast to the Giants Causeway (good parking spots as well! ), the fresh and tasty breakfast in the morning, the charming, clean and safe rooms or the welcoming hosts – there is no doubt a stay at The Village B&B is a pleasure. Aside from one of the best stays we had during our travels, I would like to highlight the lovely support The Village B&B provides. If you need any ideas or suggestions, whether it is for dining, a night at a pub, shops, walks or whatever your heart desires, you can ask anyone at the B&B. Very well located BnB for the traveler. The owners are very accommodating and friendly and will ensure your stay is the most delightful it can be. The amenities will definitely suit your requirements as well as a fantastic Irish fry the very next morning to begin your journey. I was backpacking/hiking Northern Ireland for 10 days and the owner ensured me the best possible routes to take to avoid the wetlands. Across the way is a lovely pub that caters to great local live musicians that will give you a great sense of the Irish lifestyle. Nice B&B in a small village. Parking was possible on the street outside. Nice restaurants within walking distance. Small beach about 10 minutes walk away. Friendly host who suggested places to visit on our travels. Breakfast was great. Good value. Great Accommodation in a perfect location for all. Stayed twice in the last six months. Alex the owner of this place is a true gentleman. Alex has got it all spot on with this Bed and Breakfast. A traditional Irish feel, in a traditional Irish place. This establishment is well kept, neat and a great price for its location along one of Ireland’s busiest coastlines. Our room was on the second floor and had Wifi, and all amenities for our stay. There is plenty of culture to keep you entertained and Harry’s next door is a top place to dine. Joe’s across the way has traditional Irish singers and songwriters on a Tuesday night. The breakfast was perfect. I missed it the second time round. Cushendall is family friendly with level walk between the village and the beach which has a modern safe play area for children. There are many nice walks close to the village. There are also a variety of more challenging hill walks. For groups who want to do any of these a local walk leader can be arranged to accompany the group by contacting The Village B & B. Whether you like walking or touring the glens by car there are many interesting places to visit in the area. We have a selection of guide books, maps and other literature available so as to make the planning of your stay as easy as possible.